As another film festival comes to an end, it's time to celebrate and commemorate with the announcement of the awards. The 64th Berlin Film Festival just ended (my own mini recap here), and the winners were announced at the Closing Ceremony, including the winner of the coveted Golden Bear for Best Film. That top prize was given to a Chinese film titled Black Coal, Thin Ice, starring Liao Fan and directed by Diao Yinan. 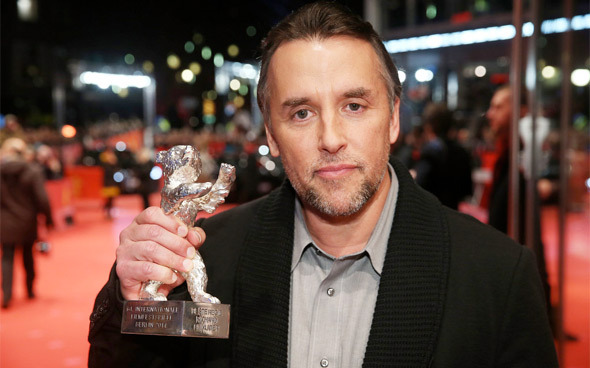 Among the winners were Richard Linklater, who picked up a prize for Best Director of Boyhood, as well as Wes Anderson's Grand Budapest Hotel winning the Grand Jury Silver Bear prize. More below. That puts a final cap on the 64th Berlin Film Festival, wrapping up 10 days of cinema in Germany, as well as our own coverage here on FirstShowing. Berlinale is another prominent film festival taking place early every year, showcasing fantastic films from all over the world. Richard Linklater's Boyhood, a project 12 years in the making chronicling a young boy growing up in Texas, first premiered at the Sundance Film Festival (my review). Diao Yinan's Black Coal Thin Ice received solid reviews, and I heard lots of praise for the film 52 Tuesdays, not to mention Grand Budapest Hotel. Plenty of great films this year, many more that weren't named, but congrats to all of this year's winners. Watch out for these films and others at film festivals soon.